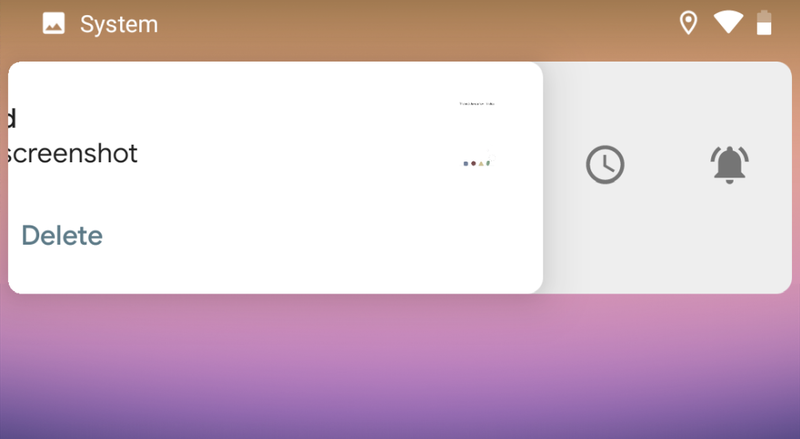 Google announced the first Android Q beta on March 13, 2019. But only a handful of devices can access this early build. The devices in question are all six Google Pixels, dating back to 2016 models. At the moment, all we know is that the OS is called Android Q. The wait for the official name should go all the way to Q3 2019. Which is when the stable version will be released to the public. Its Stable version arrives in most probably August 2019. On the surface, Android Q looks a lot like Android Pie and that’s to be expected at this stage. There are some thematic developer options – like changing the accent colours – but nothing substantial: it’s very much business as usual. A new Settings Panel API that’ll let developers push a pop-menu for settings like Bluetooth, Wi-Fi, and NFC. So users won’t have to exit apps to go to settings and back. Total support for foldable phones, which Google first promised us. There are some more interesting highlights that give us a hint at things come in the future around the camera. One such approach is allowing apps to package up photo data with the dynamic depth metadata that it’s captured. Google suggests that the current arrangement is to capture these things that to bin the depth data. 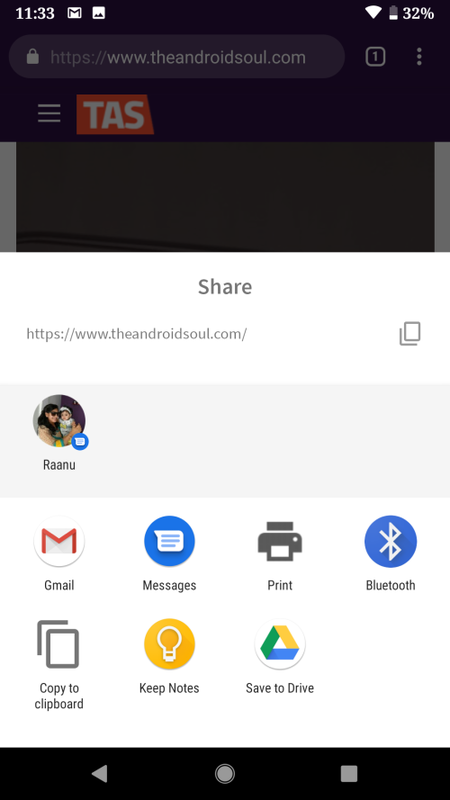 Android Q is improving the usually janky UI of the share menu where the specific content being shared now appears at the top of the new share menu. With the top-right corner housing the clipboard button. Right below is a list of the usual target apps followed by your other apps. Although cool tweaks, they don’t change the overall design of the share menu significantly. 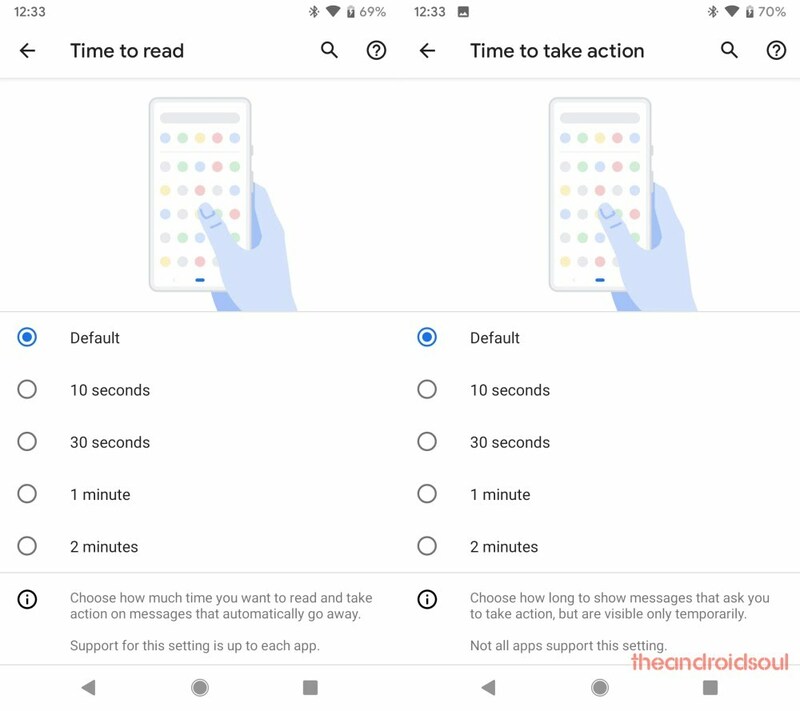 Google wants to quicken the time taken to share stuff by implementing what are basically shortcuts, thus allowing apps to pre-set targets and instantly load when the share menu is invoked. We knew that Android Q was coming with a system-wide dark mode, but in the first beta build, things are not so straightforward. Although the dark mode exists albeit in wider areas of the system, turning it on requires users to jump through a hurdle or two. First up, on Android Q, the system automatically switches to the dark mode when you turn on Battery Saver. This is similar to Android Pie, but it covers more screen now. Which is good. But this remains a temporary solution to enable dark mode, naturally. 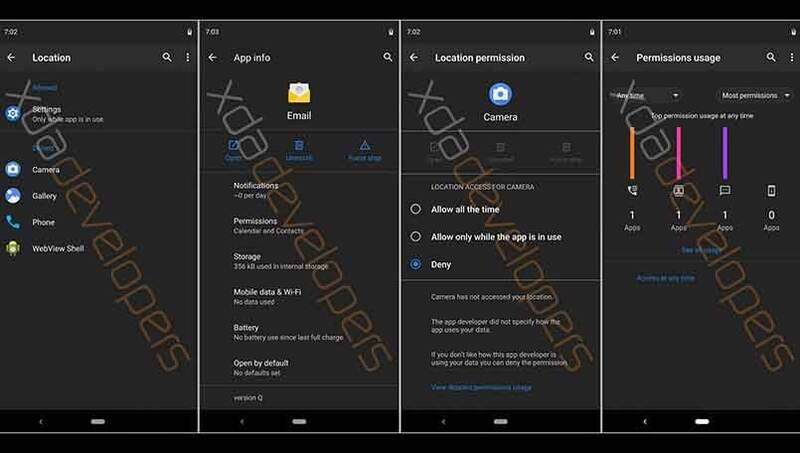 The toggle to enable dark mode is missing, unlike Android Pie where you had a menu for this in Display settings. So, the only easy way to get dark mode on Q is to have it enabled on Pie before making the switch to Q. Though, unfortunately, turning it off won’t be possible on Q if you carried it over from Pie. The notch became popular a year or so ago, but it never appeared in screenshots captured on a device with a notch or any other cutout for that matter. 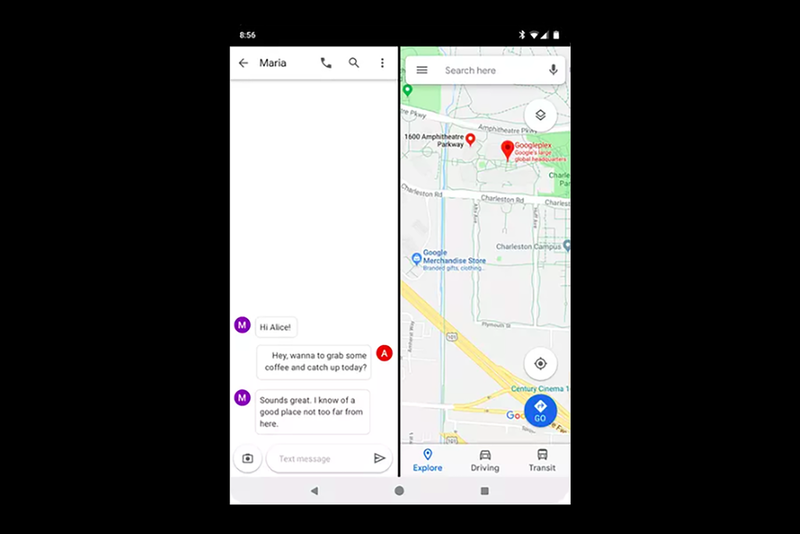 With Android Q, screenshots not only include notches, but also the rounded screen corners as well. So far, we don’t know if this is a Pixel-exclusive feature and we won’t be able to know at least until non-Google devices join the Q beta program. Android has always been the best with notifications and Android Q continues this with a little nifty addition. When you swipe left on notifications, snooze and block controls are revealed while swiping right dismisses the alert. 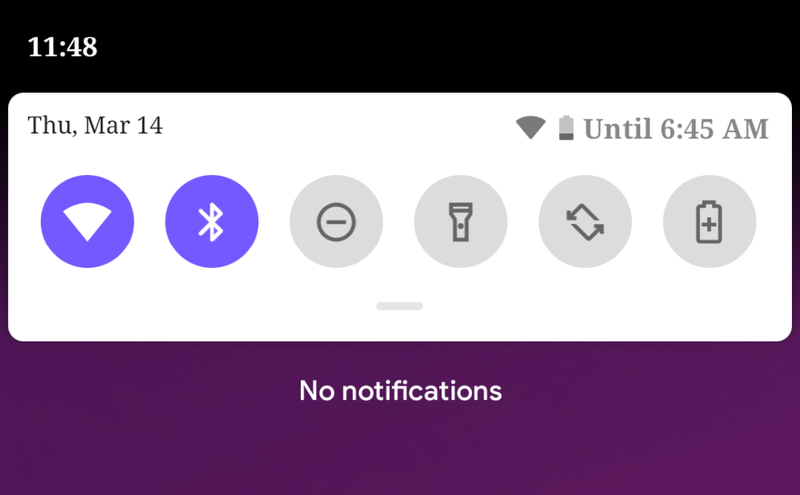 In Android Q, pulling down the notification shade reveals a nifty little addition, where you can easily see the amount time the remaining battery juice will last. But this requires that you have the battery percentage in the status bar turned on, which is a bit bizarre, but understandable considering this is the first beta. 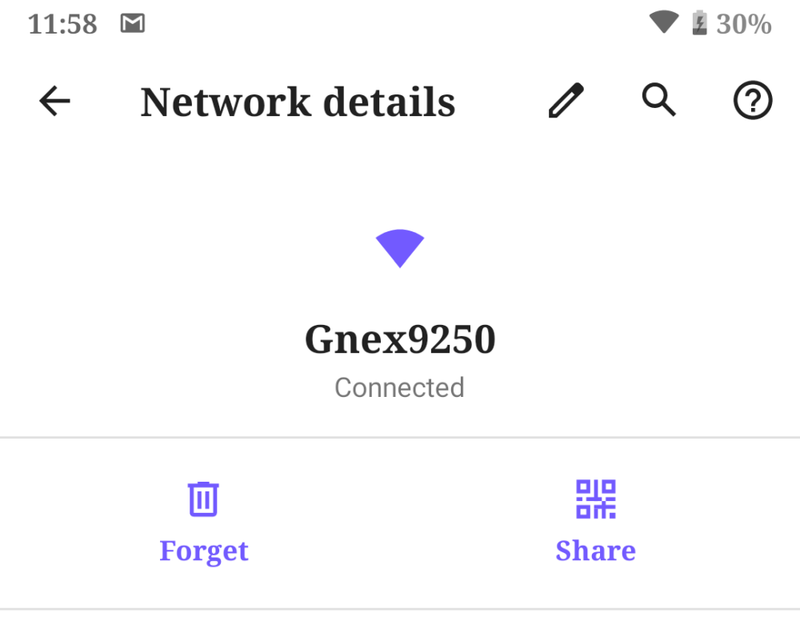 Android Q lets users share and connect to Wi-Fi networks using QR codes, something that should come in handy for those who always want to have strong Wi-Fi passwords but aren’t just into typing those characters. All you now is to simply scan and you’re in. 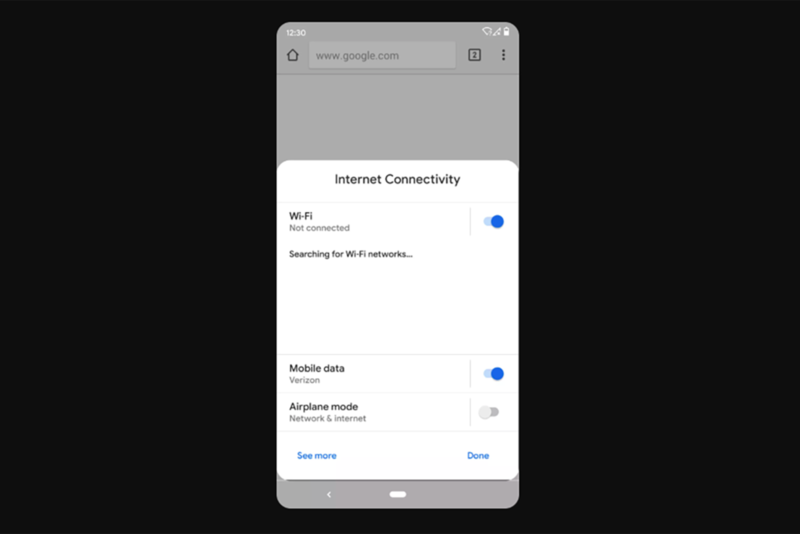 Generating a QR code needs you to open your Wi-Fi settings and hit the currently connected network and the Share button will pull up the code, although authentication will still be needed using your lockscreen password or fingerprint before proceeding. To scan the code, tap the button to the right of the Add network option in the Wi-Fi settings. Unfortunately, this feature is still limited to Android Q devices. There seem to be a few additions to the accessibility additions as well since the options for Time to take action and Time to read have been added. It is worth noting that not all apps support this setting and the app developers would have to add support for the feature to their apps. Should you install Android Q beta? 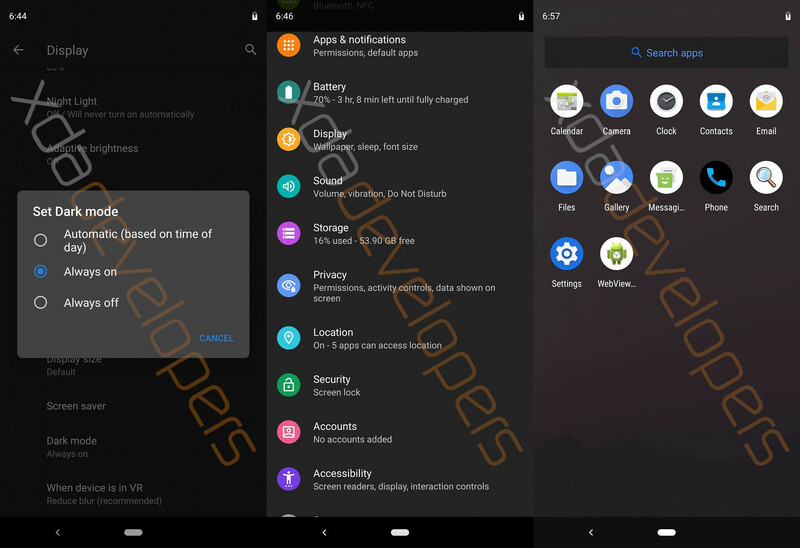 Though we wouldn’t recommend installing Android Q beta just yet, there is nothing wrong with checking out the features that Google has included in the OS. First of all, let’s not forget that it’s called developer preview for a reason. It’s meant for developers, and we should keep it that way. Second, installing Android Q system image requires a bootloader unlocked device. So, you have to unlock the bootloader of your device in order to install Android Q factory image via fastboot mode. This voids warranty. Amazing information about Android latest Q update. Thanks I’ll be back soon to your website. I like to read your blogs and website.